The past four months have been filled with progress and it makes me so happy to see it. My kids have not been sick as often, and appear to be our typical happy children. Emma is getting ready to start Speech Therapy and her signing constantly improves. 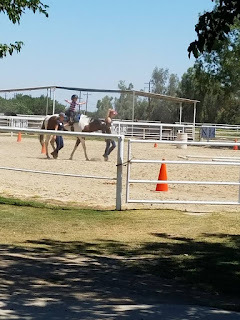 Daniel still rides with MARE and will start Pre-K with Inspire Charter School, where hopefully he will be able to receive Speech Therapy as well as attend a preschool. I found out I was pregnant and have had to deal with the effects of depression on my prenatal body. The first trimester I could not take any medication- and now my medication has been changed for this pregnancy. I found I will have a C-section, for my health, and I have been coming to terms that during all 3 pregnancies I had depression. It is not uncommon for me to have the thought of a miscarriage come as a relief. Simply knowing that thought stems from the depression and not from my own desires is a huge relief and a step in healing.